Every Day is “Glory Day.” Putting a positive Spin on Aging. Within weeks of release, “One Less Day (Dying Young)” raced up the music charts; this week it’s #15 on Adult Top 40 and #21 on Adult Contemporary. 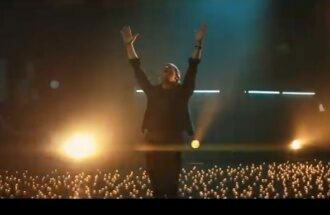 Rob Thomas is lead singer of Matchbox 20, but he also goes solo. “One Less Day (Dying Young)“ is the first single from his new album “Chip Tooth Smile” (release date: April 26th).